Christmas is only 3 days away and as per usual I’m a tad behind on the wreath making front… I honestly don’t know where the time went and since arriving back from Wales on Wednesday after spending a week there due to a family emergency it’s been all hands on deck to get ready for the big day! 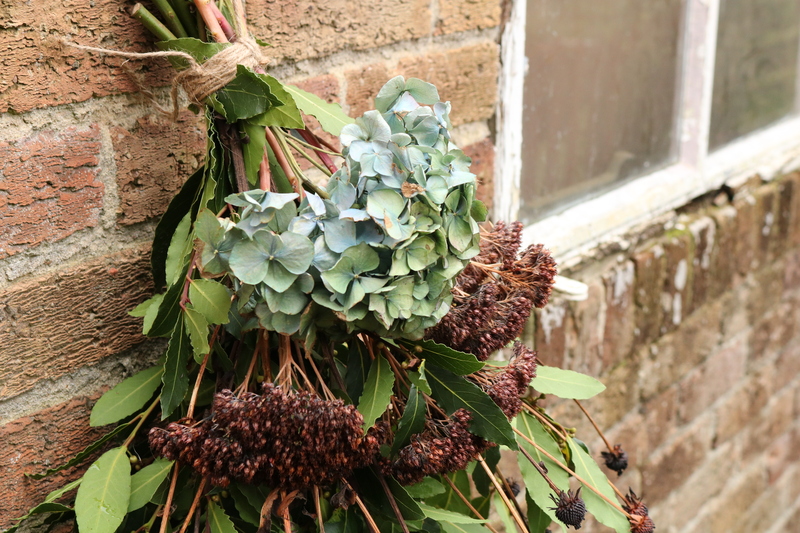 Luckily for me the garden at home provided the materials for this years wreath and just like last year I used similar foliage. 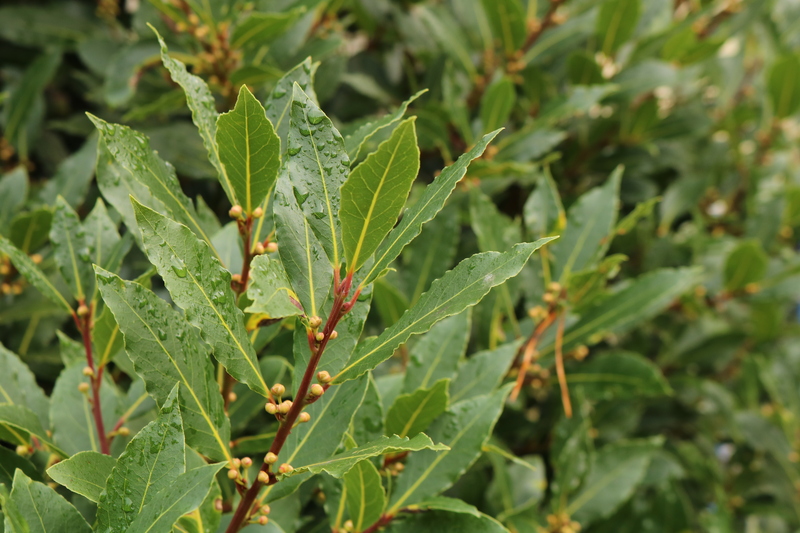 The bay tree had another yearly trim, it needs a good hard prune really but always comes through when I need a base for my wreath. 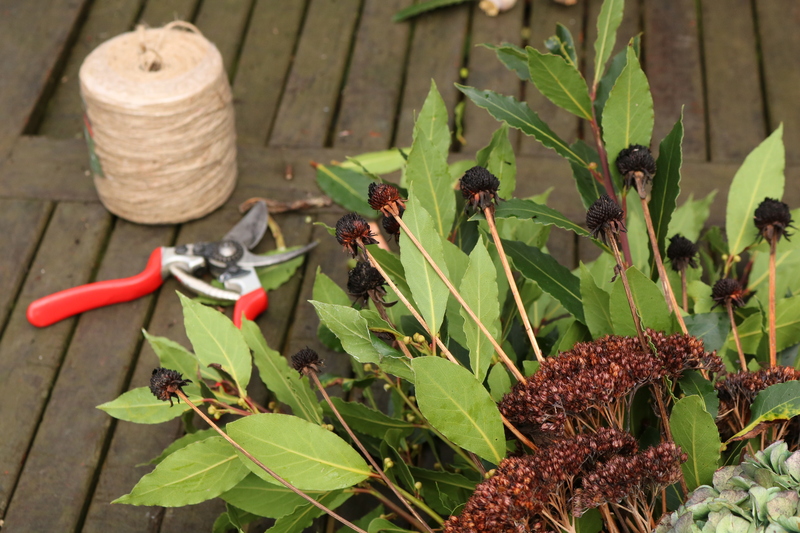 I also picked some beautiful brown sedum and some rudbeckia. 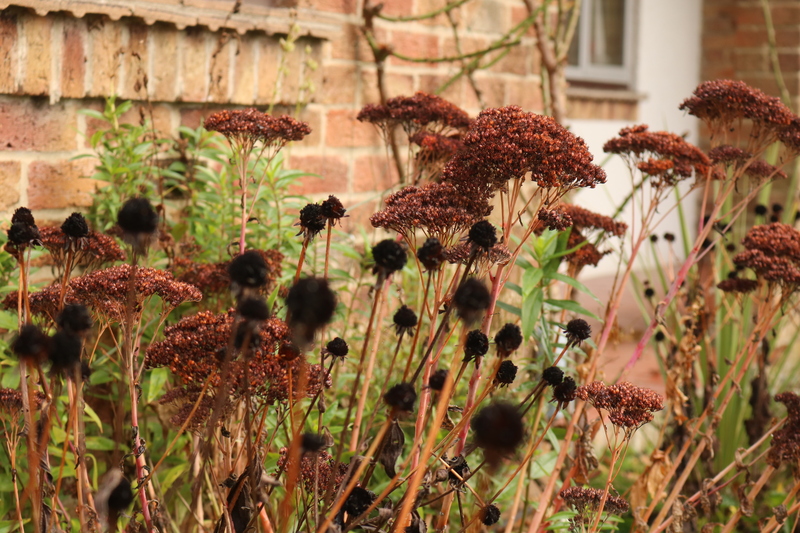 The pure black seed heads have always been a huge favourite of mine and they contrast well with the bay and sedum. 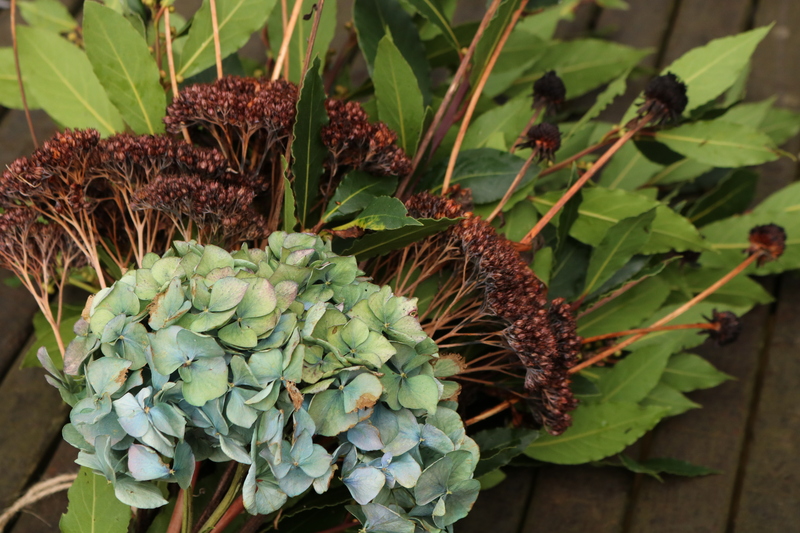 I also added in one of the dried hydrangea heads I brought back from Wales with me, I’m in love with these flower heads and the other 4 are sitting pretty in a vase by the fire place. 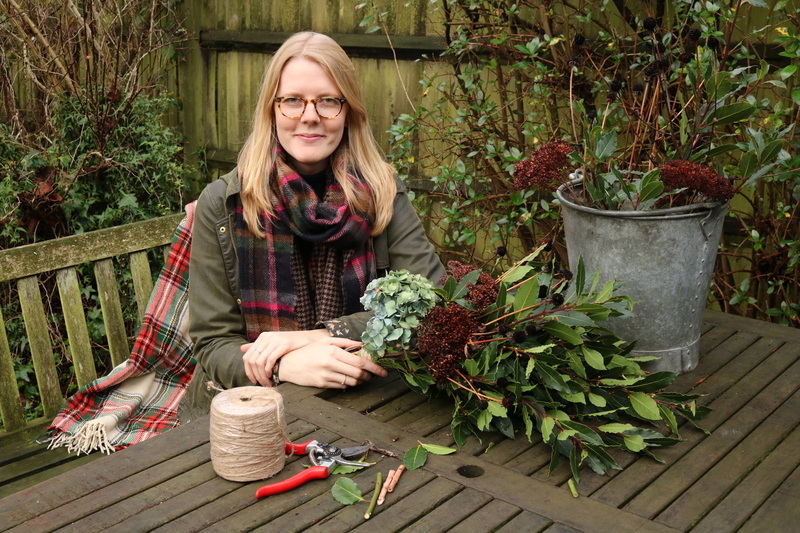 I’ve opted for a more contemporary wreath this year, I had planned to make a traditional one and had the design in my head but sometimes it’s nice to try something different… plus this one is so easy and simply to make you could do it in 5 minutes! 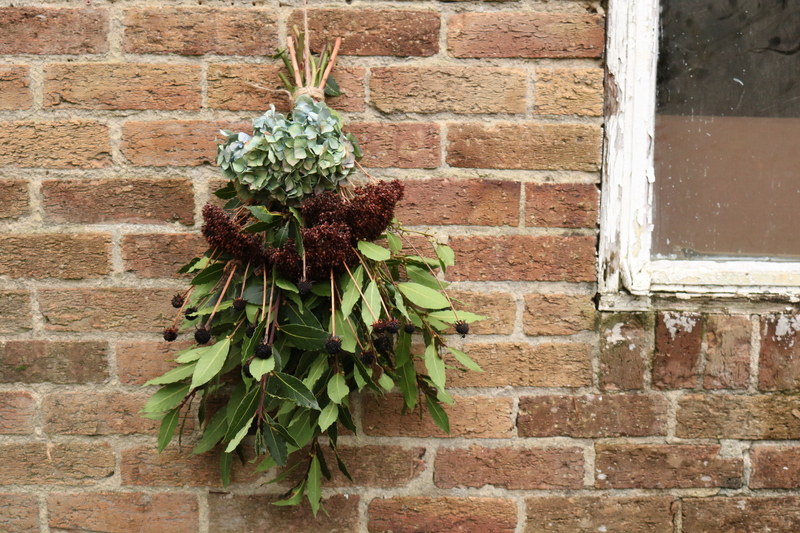 It’s a tad rustic but I absolutely love it and it sits against the door just like a normal wreath would. 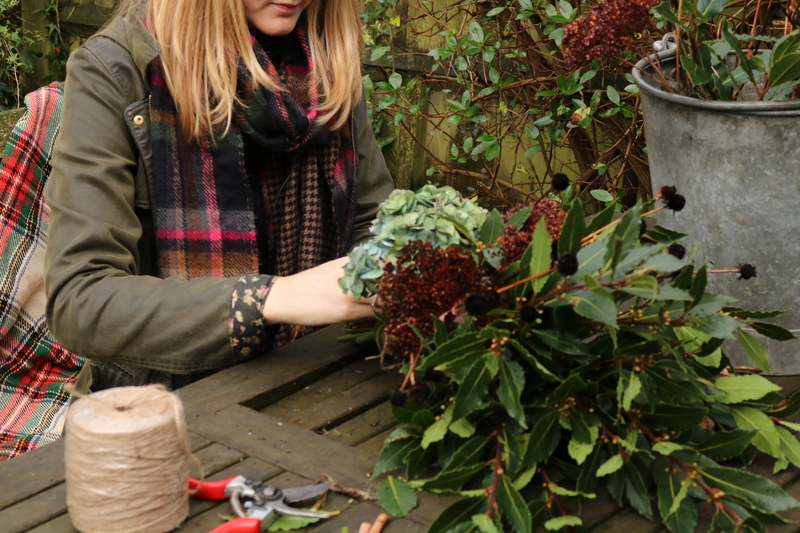 All you need to do is simply lay your base foliage down first and then layer up your seed heads on top, checking every now and again that you are happy with the arrangement by holding it up. 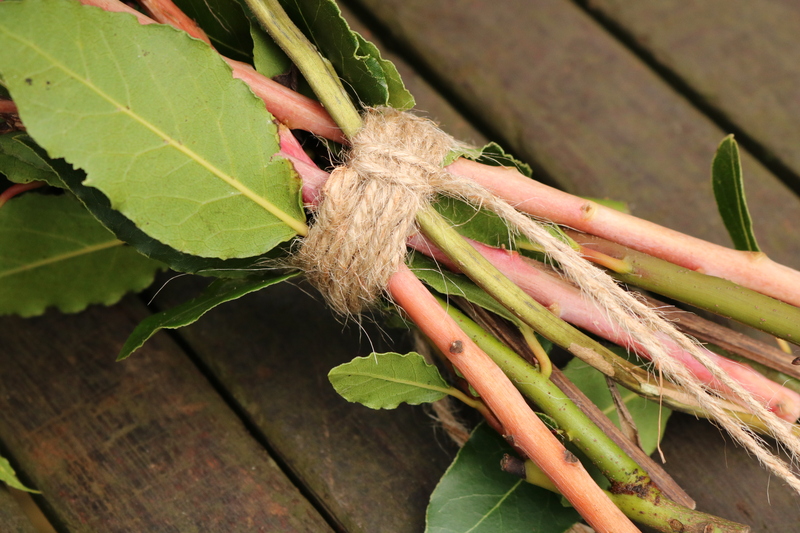 I used some basic garden twine to wrap around the stems and then looped a longer piece through so I could hang it from the door. 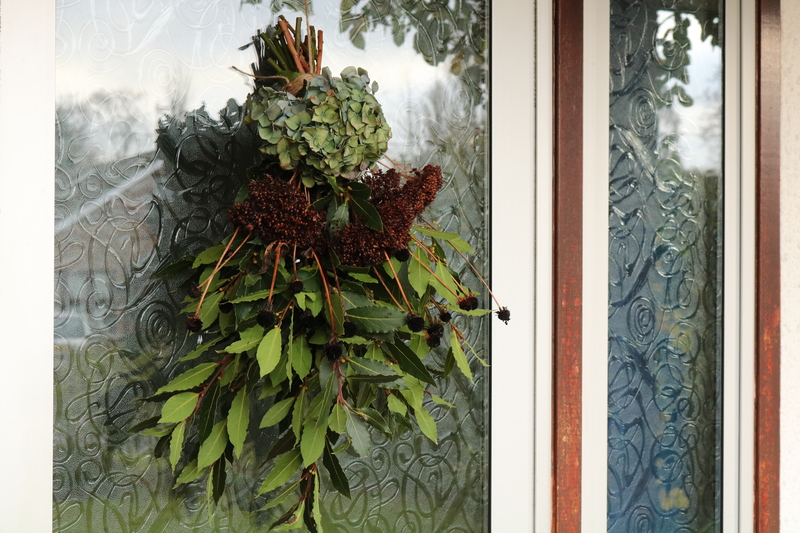 So if you are like me and are struggling to find time to do anything or you just simply want to try something different, this beautiful wreath bouquet can be made in as little as 5 minutes and can adorn your door for weeks. 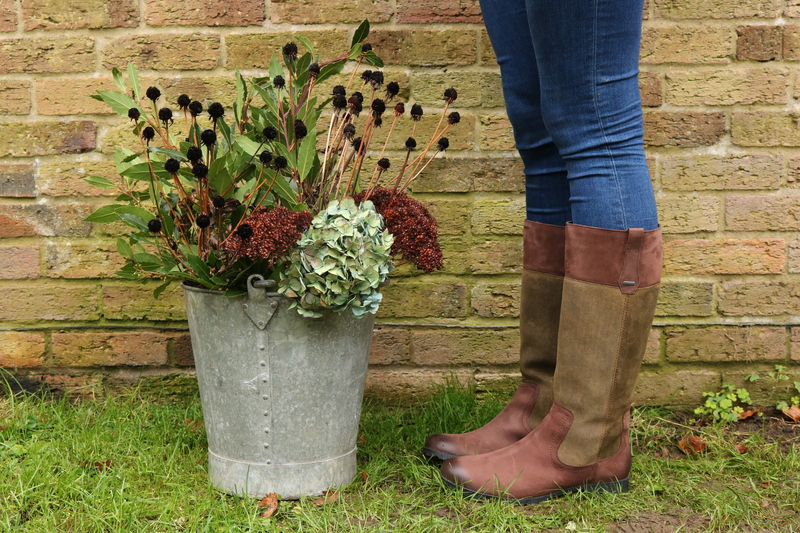 I’m going to continue the trend and create a Spring, Summer and Autumn one too using flowers from the allotment next year too!